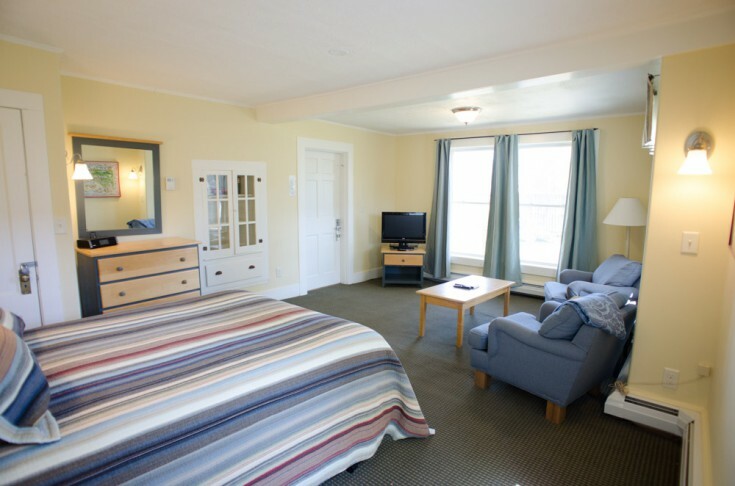 PREV	Bullfrog - Suite 301	NEXT! 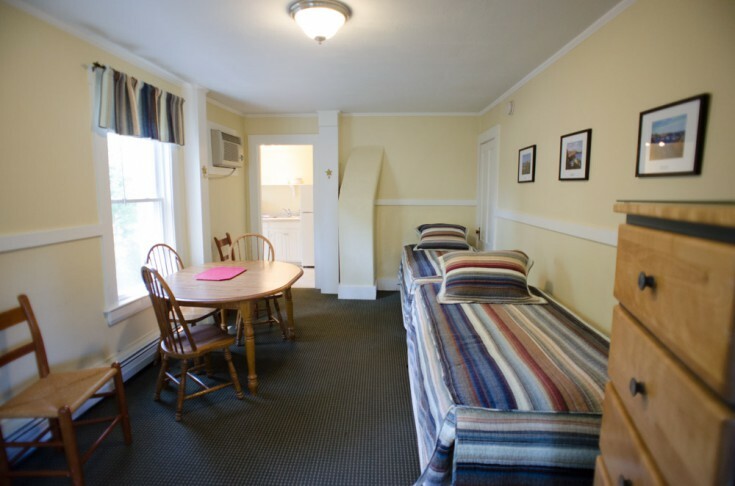 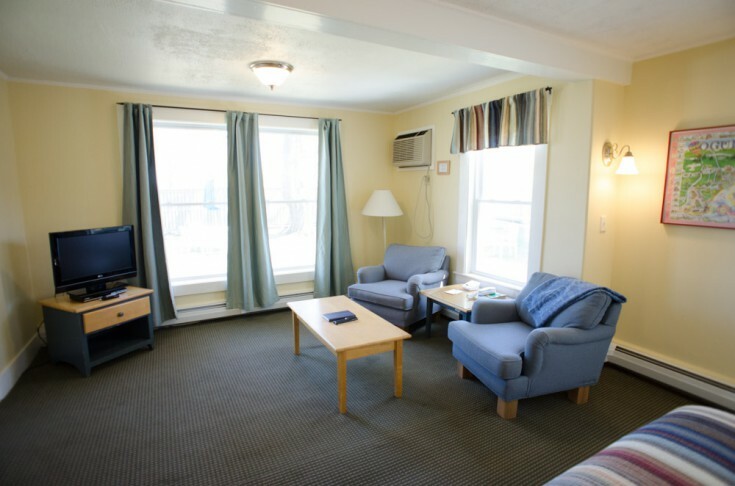 Room 301 is a two-room suite located on the first floor and has proven to be a popular family room. 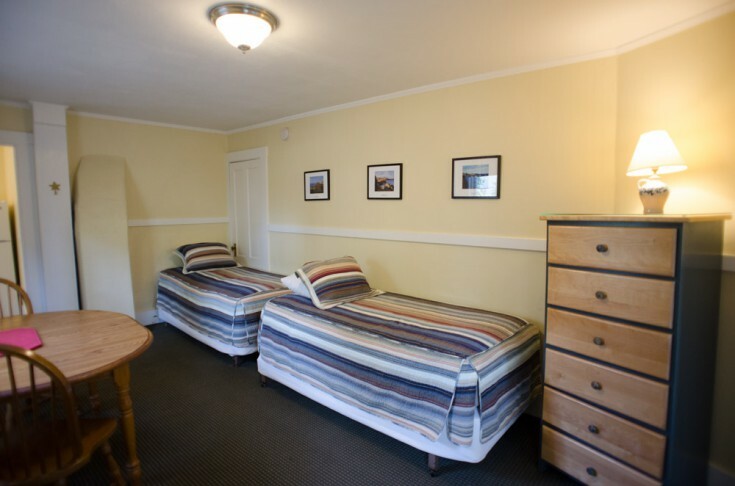 The queen bed is in the front livingroom area (with TV and easy chairs) and the two twin beds are in the back bedroom which leads to the kitchen. 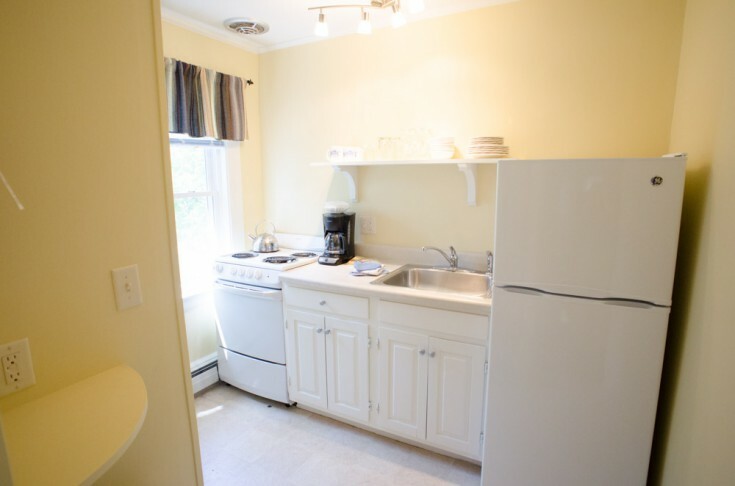 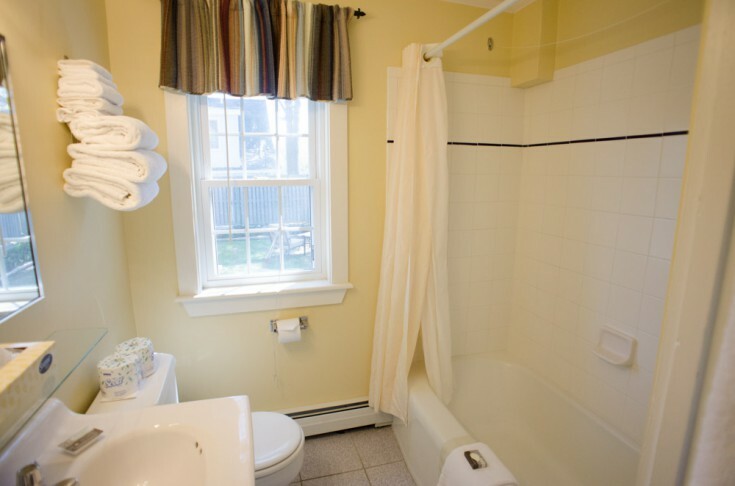 This room offers a full kitchen and private bath with tub and shower. 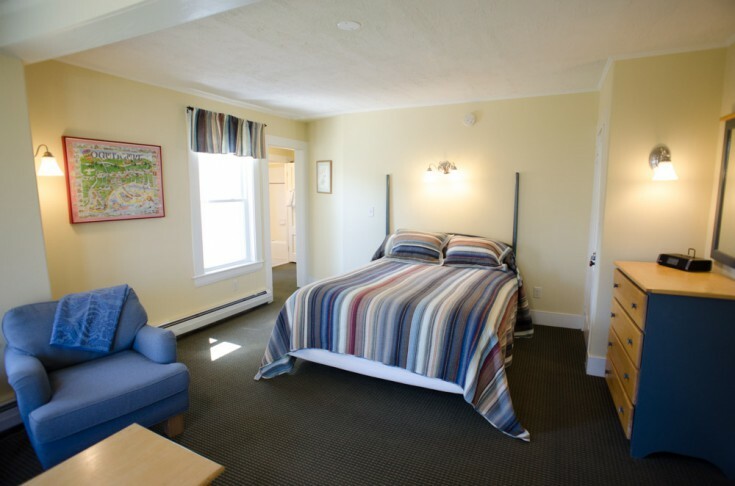 Located on the quieter side of the building, you will be able to see the gardens and swing set from the numerous windows.